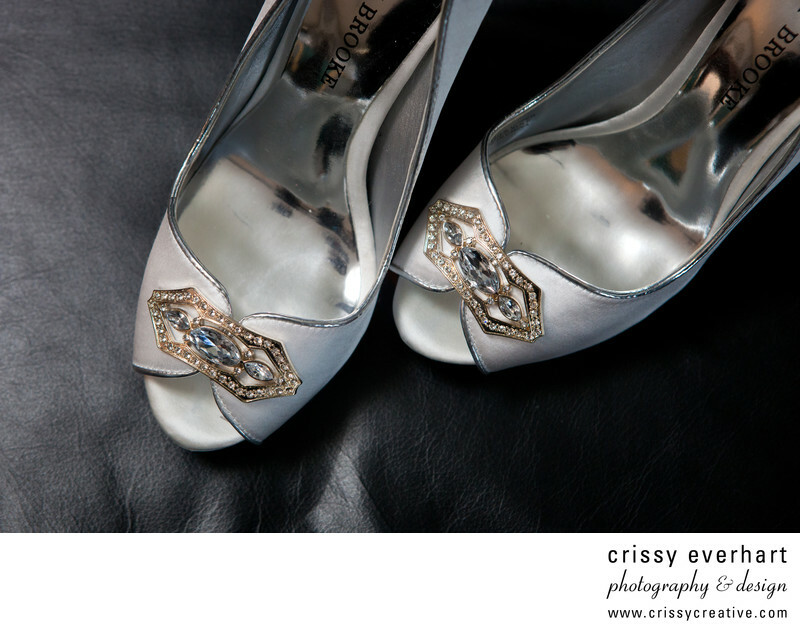 Overhead view of the bride's shoes on black leather. They are silver white with blue and gold embelishments on the toes. Location: 323 Kennett Pike, Mendenhall, PA 19357.